Eastman was born in Waterville, New York, on July 12, 1854. He dropped out of school at age 14 to help support his family and later worked briefly at an insurance company and a bank. He began photography as a hobby, and in 1879 devised an improved method of making dry photographic plates. He began to manufacture his invention, but his business remained modest because of the small number of amateur and professional photographers. Eastman recognized the potential of making photography available to a wider market if a substitute could be found for the heavy, fragile glass plates used in cameras of his day. In 1884 he introduced flexible film that could be wound on a spool. Four years later he developed his first camera, a lightweight box camera loaded with paper­stripping film. He named his invention Kodak and backed it with aggressive advertising. He sold more than 100,000 cameras in two years. These first Kodaks were sold for $25, contained 100 exposures, and had to be sent to Rochester for developing and reloading. In 1892 Eastman organized the Eastman Kodak Company in Rochester, New York, for the manufacture of his cameras. He introduced further improvements to the camera and its film, making them more affordable and eliminating the need to send the whole camera to Rochester for reloading. Eastman spent large sums of money on industrial research, advertising, and marketing. He was among the first to establish health services, retirement plans, and profitsharing plans for his employees. He also shared his fortune generously, giving a total of $75 million to various institutes in his later years. 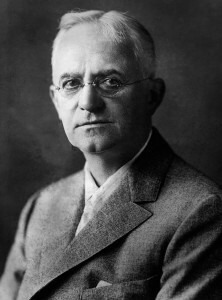 Eastman took his own life in Rochester on March 14, 1932. Eastman’s innovations marked the beginning of modern photography. The Eastman Kodak Company held a monopoly over the photography industry for several decades. Kodak became a household name, synonymous with cameras. Eastman transformed photography from an expensive, exclusive, labor­intensive trade into a popular hobby. Prior to the introduction of Eastman’s Kodak camera, the virtual darkroom they had to transport to each shooting location limited photographers. Kodak cameras brought photography to the general public, who enthusiastically embraced it as a hobby and as an art. Further photographic improvements quickly followed the Kodak camera. In the 1890s, new emulsions and gelatin plates, faster lenses, and flash powder appeared. Social documentation was one immediate effect of the new photographic capabilities. Social realities were captured and presented with immediacy and impact. Photographs brought viewers into contact with conditions they would never otherwise have seen, such as the slums of New York as documented by Jacob Riis. Eastman’s philanthropic contributions enabled several institutions to remain afloat or to expand. He gave to the Mechanics Institute (later renamed the Rochester Institute of Technology), the Massachusetts Institute of Technology, the University of Rochester, Hampton Institute, and Tuskegee Institute. He provided funds for the Eastman School of Music and the schools of medicine and dentistry at the University of Rochester. He also made possible the establishment of dental dispensaries in many countries. Photography’s popularity spurred development of related technologies. The eight­millimeter movie camera appeared in 1932, and color film, panchromatic film, and automatic­exposure controls soon followed. The “instant” Polaroid camera was first demonstrated by Edwin Land in 1947, and patents for filmless, digital cameras generating electronic images date back to 1973.